WTAE, PublicSource and other local media outlets have been requesting documents and other information related to the region’s Amazon bid since late October. 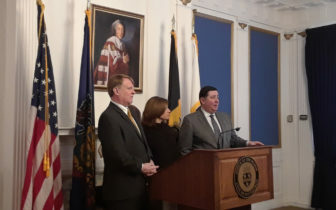 Lawyers for Hearst, the company that owns Pittsburgh news station WTAE, consolidated the cases — with both the city and the county — into a single case that O’Brien is currently hearing. Several lawyers and activists, including the Pennsylvania branch of the American Civil Liberties Union, submitted an amicus brief on behalf of the media outlets last month calling for government officials to release the bid. Other cities have released their HQ2 bids. Read Philadelphia's here. During cross-examination by Hearst attorney Ravi Sitwala, Pashman acknowledged that by including information about tax incentives in the bid, including incentives the state Department of Community and Economic Development [DCED] provided, PGHQ2 had developed the bid “bilaterally” with government. Sitwala later argued that that bilateral cooperation meant the bid should be made public. “The whole point of the Right-to-Know Law is that the business of the government is the business of the people and the government does not have any power, generally, to tell the citizens what they should know and what they shouldn't,” he said. Pashman also testified that the money spent to put the bid together was “primarily private” and that eight Allegheny Conference employees, representatives from two local universities, two foundations, Mayor Bill Peduto’s former chief of staff Kevin Acklin, Allegheny County Executive Rich Fitzgerald’s chief of staff Jennifer Liptak and PNC CEO Bill Demchak worked on the bid. All of those people signed non-disclosure agreements with PGHQ2 to not release the contents of the bid, Pashman said, and some people also signed NDAs with Amazon. Acklin, Pashman and Executive Director of the Urban Redevelopment Authority [URA] Robert Rubinstein also signed NDAs with the DCED, promising not to release details about state incentives. Sitwala argued that because Acklin and Liptak are public employees and worked on the bid during work hours, their work should be made public. He also made the point later that NDAs don’t supercede the state’s Right-to-Know Law and that the ones signed with the DCED — which were entered as evidence — acknowledged that fact. During her testimony, Pashman further argued that the Amazon bid is confidential because PGHQ2 received proprietary information from real estate owners and that it also got confidential information from other entities, including local universities. Pashman named the University of Pittsburgh, Carnegie Mellon University, Robert Morris University and Carlow University among those who gave PGHQ2 confidential information. Because PGHQ2 has an obligation to protect that information, Pashman said, the bid can’t be released. During examination, Pashman said she wasn’t sure if PGHQ2 would exist as an entity after Amazon made its choice but that the it would continue to play some kind of role if the company chooses the Pittsburgh region. 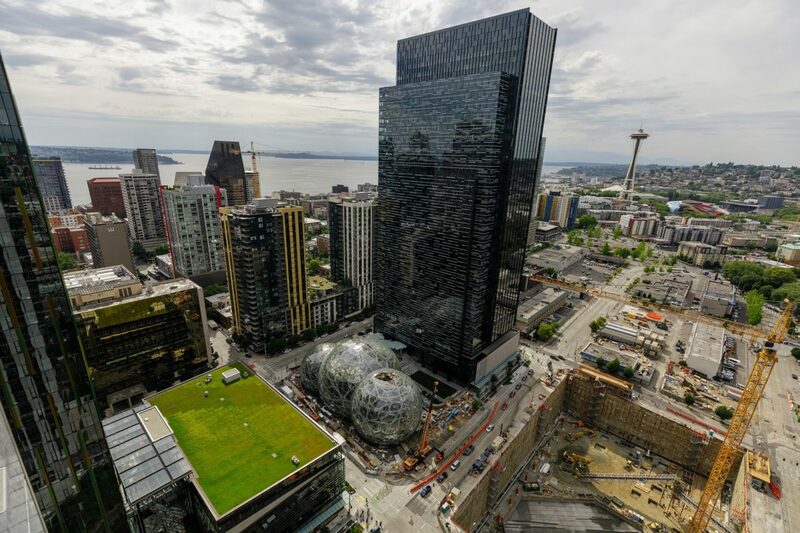 Local officials have promised for months to release the Amazon bid once the company makes a final choice for where its second headquarters will go. That decision is expected sometime this year. But lawyers for Hearst on Thursday said the bid should be released immediately rather than later. “The city and the county believe that the citizens should not see this proposal until when they deem it fit, as opposed to now when in fact Amazon is considering it and the community could actually respond,” Sitwala said. Janocsko said that because the county engages in economic development, the bid counts as a trade secret. The Right-to-Know Law allows governments to withhold information that count as trade secrets. Sitwala pointed out during his argument that the trade secret exemption only applies when private entities submit information to governments, not when governments submit information to private entities. While working on the bid, PGHQ2 paid several consulting firms, including Maya Design and HR&A Advisors, Pashman said. HR&A ran a secure dropbox where pieces of the bid were stored. The Pittsburgh region spent between $300,000 and $400,000 to put the bid together with most of that money coming from private businesses. The businesses that contributed have not been disclosed. The URA also contributed $50,000. Pashman also revealed that the PGHQ2 entity was established after work on the bid had already begun, with a final incorporation document dated Oct. 18, one day before the region submitted its proposal. During oral arguments, Janocsko said the state Office of Open Records [OOR] had misapplied the Right-to-Know Law when it ruled earlier this year that the bid and other documents should be released. He also twice invoked O’Brien himself as he argued, saying first that some government business, like O’Brien’s own deliberations, aren’t public and that the Amazon bid was part of a private negotiation the government was engaging in. “Transparency is an important value, but like other important values in our legal system, in our government, it's not totally absolute." “Transparency is an important value, but like other important values in our legal system, in our government, it's not totally absolute,” he said. Janocsko also suggested that O’Brien should sanction the OOR by ordering it to redo its reviews of whether the Amazon documents should be made public. Janocsko also said the government needed to keep the bid secret because Amazon coming to the Pittsburgh could be the biggest investment since Andrew Carnegie’s steel mills and that the region desperately needed investment. He said O’Brien knew that, as he used to be a steelworker. At the end of about two hours of testimony and arguments, O’Brien indicated that the city should turn over a log of the 381 pages of emails that WTAE requested, though he didn’t formally order it. The log would contain some details about the emails and the city’s reasoning for withholding each one. O’Brien called the log “extremely generic” and said he didn’t see why it shouldn’t be turned over to WTAE. O’Brien also asked lawyers for the city, county and Hearst to submit written arguments and figure out a schedule for submitting them to him. In a separate case, Governor Tom Wolf's office as been arguing against releasing information about state incentives to PublicSource. That case, in Commonwealth Court, is ongoing.